Stuart and Suzanne Alexander from Scotland breed and work with Siberian Huskies. They are the ultimate working dogs that just love to run. As sled dogs they are built for endurance and can consume up to 10,000 calories per day. In Scotland, Stuart and Suzanne run their Siberians in harness all year round as well as taking them on working trips abroad. 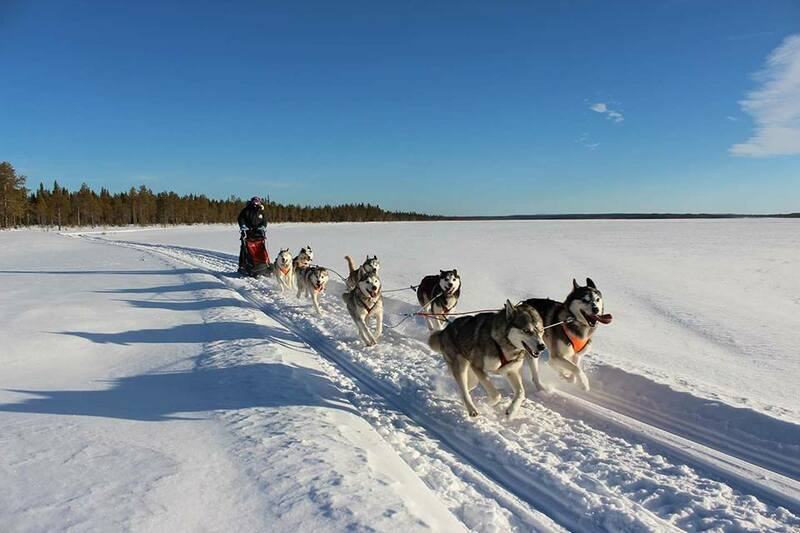 In recent years, they have taken them to Sweden for three months where the colder weather and snow underfoot mean they are able to run for much longer distances. High quality protein is essential to build, maintain and renew muscle, with fat providing the primary source of energy. Their experience tells them that the right balance of these two ingredients is really important. During one of their trips to Sweden, they noticed that many of their dogs were producing loose stools. It seemed that the dogs' diet couldn't keep up with the higher energy demands. This was something that they were very keen to address. They decided to start feeding EUKANUBA Premium Performance, and were quickly satisfied with their decision. The couple are now into their second winter in Sweden and their dogs have had no more issues with loose stools. They have also raised two litters on EUKANUBA and the puppies have all thrived. “We would now not consider feeding anything else”. Whilst they can make wonderful pets, Siberian huskies require a lot of exercise and with their high prey drive, they cannot be off lead unless they are in an enclosed area with a very high fence. They are born to run and they thrive on harness work – be that pulling a sled, rig, scooter, bike or running next to you. Do consider however that in warmer temperatures Siberians can easily overheat. They also require a lot of mental stimulation and you will require a very good vacuum cleaner!